Get ready to drool over these bowls of creamy chickpea goodness. Hummus is a national obsession in Israel. And while your brain might automatically be thinking about those containers you buy at the supermarket, hummus in Israel is a slightly different, more elevated experience. Literally thousands of hummus restaurants exist throughout Israel and everyone has their local favorite. 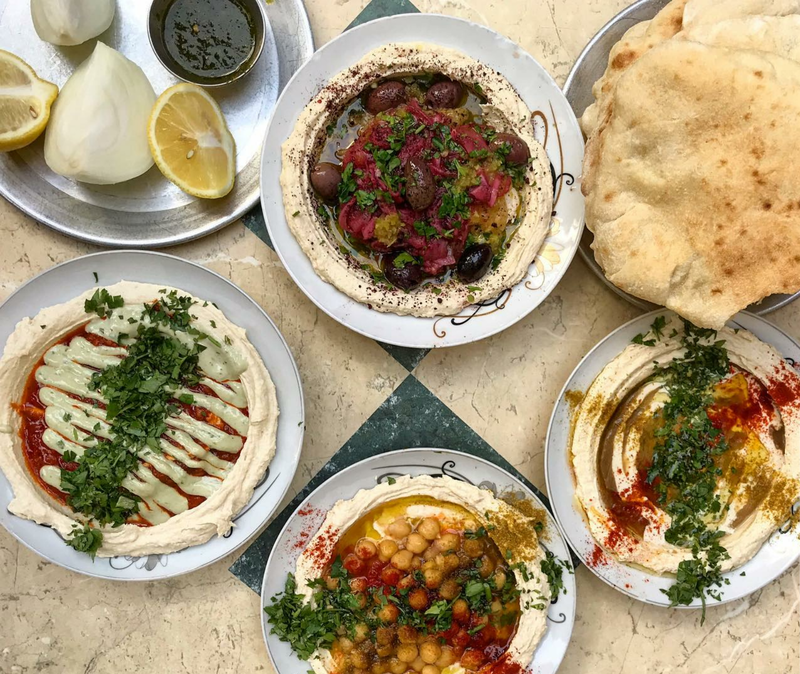 But we wanted to boil it down to the absolute best, must-visit five favorite hummusias (that is, places that only serve hummus) in all of Israel. These restaurants have gained droves of loyal fans for making the ethereal and creamy wonder-dip just a little bit better than the next place. Prepare to drool. Then get your passport ready. This hummus restaurant has been a Jaffa staple since 1937. 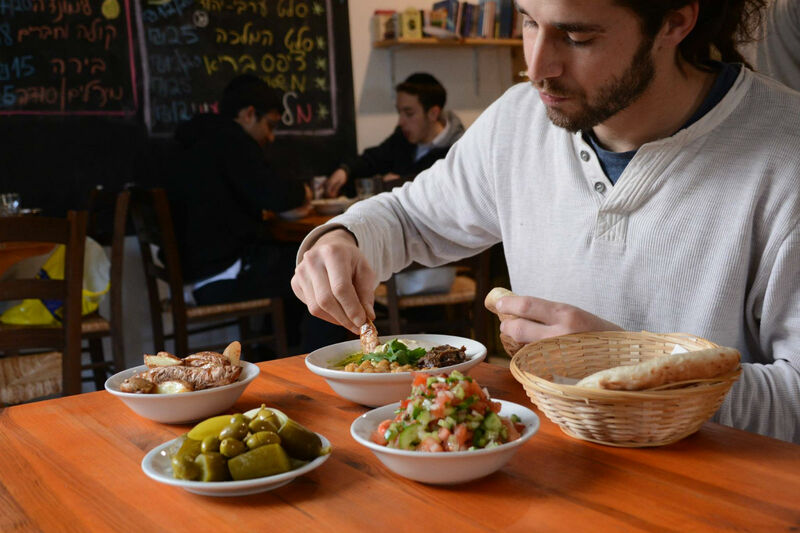 These days, you’re more likely to enjoy a bowl of creamy hummus with a modern twist, which for Israelis means switching up the toppings. The restaurant serves their classic hummus with ingredients like char-grilled, pickled onions and kalamata olives. It’s a unique take that proves homey dishes are the new gourmet and that a fantastic meal can me meat-free. 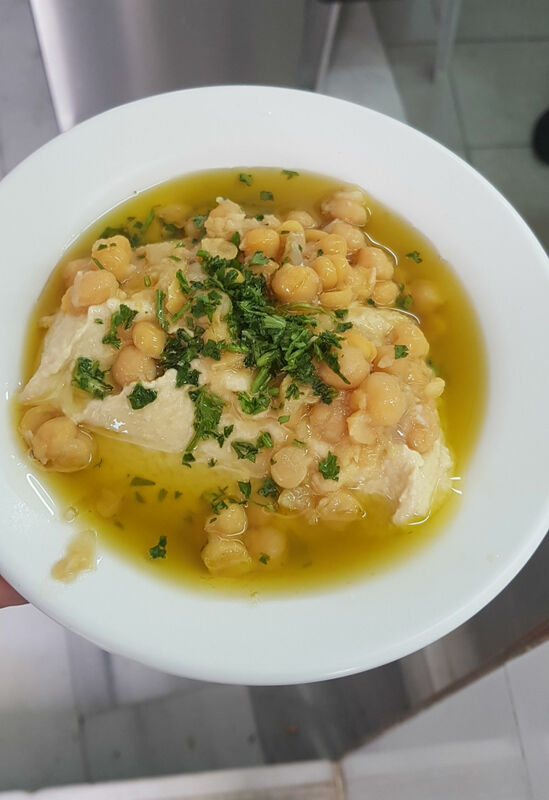 Grab a seat at this kosher hummus bar in the heart of downtown Jerusalem and you’ll experience the adrenaline pumping live action behind one of Israel’s favorite hearty treats. Functioning like a mezze bar, here you can get all sorts of Israeli-style salads and freshly fried falafel balls to round out your hummus lunch. Once you snag a seat, a beer on tap or a glass of fresh lemonade will help you sop up the chickpea creaminess with warm pita bread all afternoon. Their meat-topped hummus is not to be missed. One of the things that makes Hummus Bardicef so unique, aside from the high quality hummus and attention to details, is the Hasidic theme of this restaurant, which is pretty far, culturally, from the origins of hummus. With Hasidic owners, their heritage is found in the name, logo, and decor of this restaurant. The hummus is served as a warm stew, effectively upping the ante and leaving you full all day long. One of my favorite dishes is the sabich hummus bowl: grilled eggplant, tahini, cubed potatoes, preserved lemon puree, and parsley pesto is served over an indulgent bowl of their signature super creamy hummus. Another Jaffa hummus destination with a long history is Hummus Dani Foul. 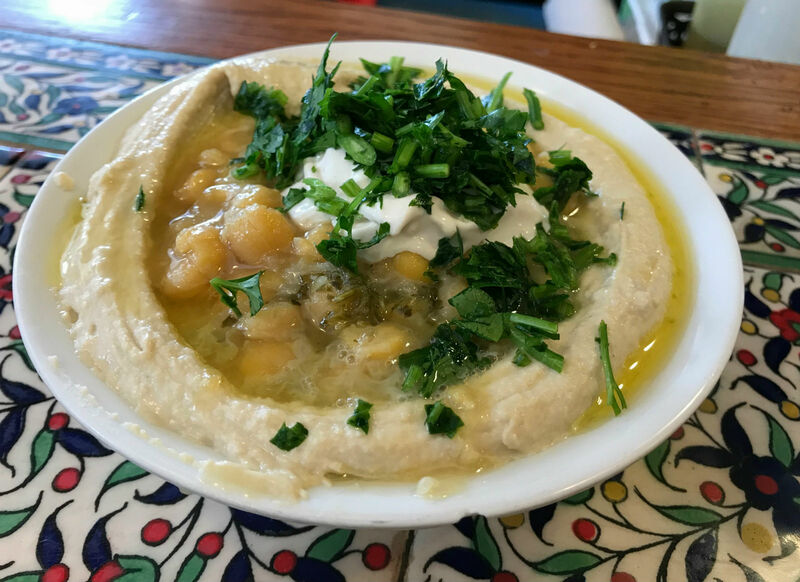 A little off the beaten path and much less hyped (also much less expensive), this restaurant is just as authentic as the city’s most famous hummusia, Abu Hassan. The consistency of their classic hummus is much thinner than the usual dip, but ever-delicious. And their star dish is the masbacha, a rustic hummus-like stew of tahini and roughly mashed chick peas. Baklava and strong Turkish coffee on the house won’t leave you wondering why locals have flocked here in secret since the 1960s. 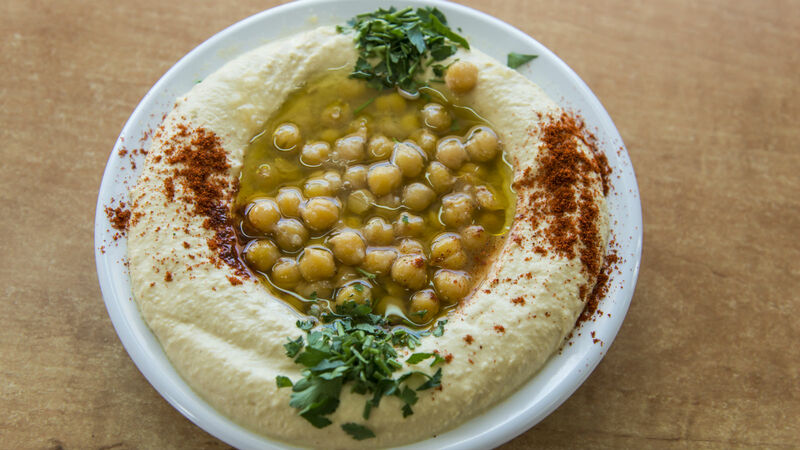 Hummus Said in the ancient Mediteranean port city of Akko has been the top hummus spot in the city for Israelis since its inception in 1973. 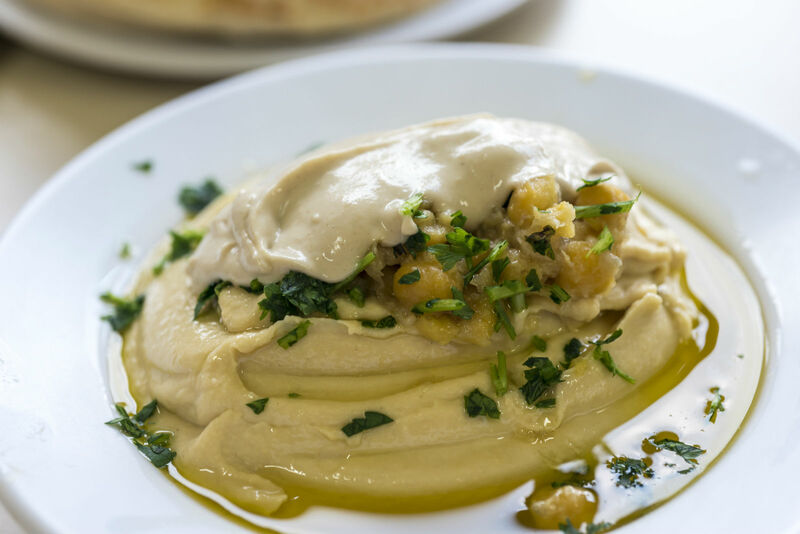 Some even say it’s the best hummus in Israel, due to its light, airy and impossibly smooth texture. Located in the heart of the old market, this humble yet classic spot is a must-hit before you explore the spices, olives, and treat stands that surround the restaurant. For more information check out TripAdviser. New school Jewish deli is seriously trending on the West Coast. A guide to where to nosh your favorite North African brunch dish.